페니케, 포르투갈의 트리보 다 프라이아 알마그레이라 서프 호스텔 | 호스텔월드에서 예약하세요. 12 Beds is the maximum capacity of the hostel. Once the whole hostel is reserved there is no paying back if reduction in the number of guests occurs. An additional 500 euro deposit is applicable. It will be refunded on check-out. 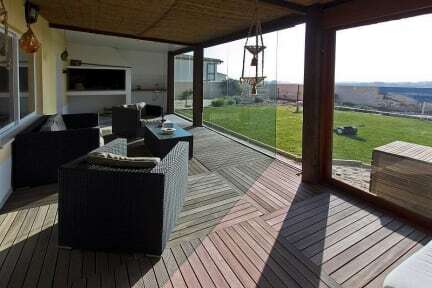 Hostel Tribo da Praia is located in Ferrel, on top of the hill in the countryside overlooking the ocean, between surf spots of Baleal and secluded Almagreira beach, 5 minutes from the cliffs with nothing but peace and quiet around. Tribo da Praia is the mother concept behind the set of services we offer: Surf-School, Bar da Praia (bar on the beach), Hostel with ocean view, Eco-Hostel and our own Farm where we grow vegetables and animals. 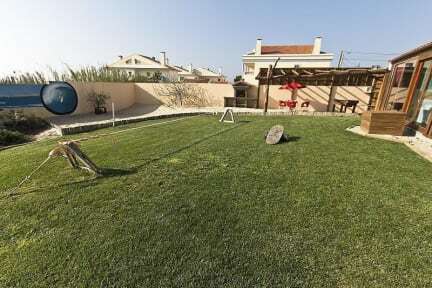 -Garden with grass area, organic vegetables and sand area. Whether you're looking for an adventurous vacation on the shores of Portugal's famous surf beaches or just plan a quiet getaway on a more secluded, relaxing beach, we've got just the thing for you. Staying in the hostel is a unique experience whether you're looking for a surf holiday or are interested in the local culture and gastronomy, or both. Amazing atmosphere, breath taking ocean view. Perfect place to stay! Staff is helpful and easy going.